Police in Fife are appealing for information to help trace a missing woman who may be in the Aberdeen area. Audrey Dunsmore was last seen leaving her home address in Burnside Crescent in Rosyth at around 9.30am on Wednesday, February 24. However, the 55 year-old has failed to make contact with friends or family since that time and concern is now growing for her welfare. Inquiries have established that Audrey may be within the Aberdeen area and anyone who believes they may have seen her is asked to come forward. Audrey is described as white, 5ft 5ins tall with a medium build, black hair in a bobbed cut, a tattoo reading ‘Jeff’ on her right arm and a skin graft on the inside of her left arm. She was last seen wearing a black thigh-length coat with a fur-lined hood, blue jeans and black trainers. 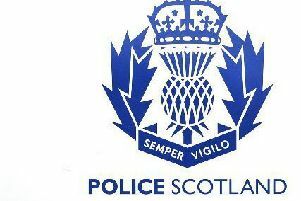 Sergeant Kate Blackwell from Dalgety Bay Police Station said: “It is out of character for Audrey to travel from home without telling anyone where she was heading or when she would be back. “As such, we are eager to trace her as soon as possible and ensure she is safe and well.